There is nothing more fulfilling in Médecins Sans Frontières / Doctors Without Borders (MSF) than to think of a concept, be a part of its planning and finally to see it in practice. Life cycles in MSF are short as the turnover of staff is quick. Weeks are like months and months like years. One person thinks of an idea, another one initiates it, and, finally, someone else fulfils the vision first imagined by someone else. Around a year ago, my team and I came up with the concept of integrating hepatitis C screening alongside a mobile tuberculosis (TB) screening van to improve our outreach work with people who are more at risk. I was the only lucky one in my team to be able to witness the final outcome. 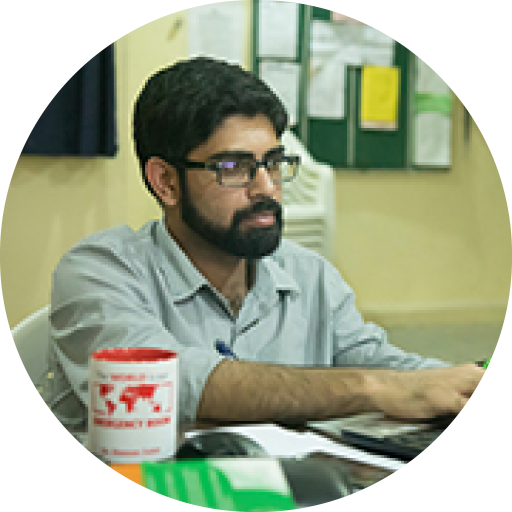 In a four-storey building, deep within the northern part of Sa'adia Khan – an area in the city of Karachi – MSF runs a decentralised clinic offering screening and treatment for hepatitis C.
Screening is particularly important for people carrying the hepatitis C virus (HCV) because patients can be infected for years or decades before the first signs of the infection appear. By that time, it is usually late, and many have serious liver damage caused by the virus. In the four years since the MSF clinic opened, more than 16,000 patients have been screened for hepatitis, allowing more than 2,200 people who tested positive to start the potentially life-changing treatment for hepatitis C.
However, for most of this time, MSF relied on patients coming to the clinic themselves. MSF had originally started working in Machar Colony to reach marginalised residents, many of whom live near the southern end of Machar. However, the time and expense to travel to the MSF clinic in the north was too much for many of them. In 2018, we came up with a solution: a community outreach program to take hepatitis C screening directly to the people. Testing for hepatitis C is simple. MSF uses a rapid test that detects antibodies in a single drop of blood, drawn with a finger prick. The results are generated within two to five minutes. Our outreach team have already done some screening with people near the south of Machar Colony. They found that 30 percent of the people they tested had anti-HCV antibodies in their blood, which can indicate a positive test for hepatitis C. This is far higher than the national average. Meanwhile, the “Zero TB van” is a mobile TB screening van, equipped with a portable x-ray machine and AI software. 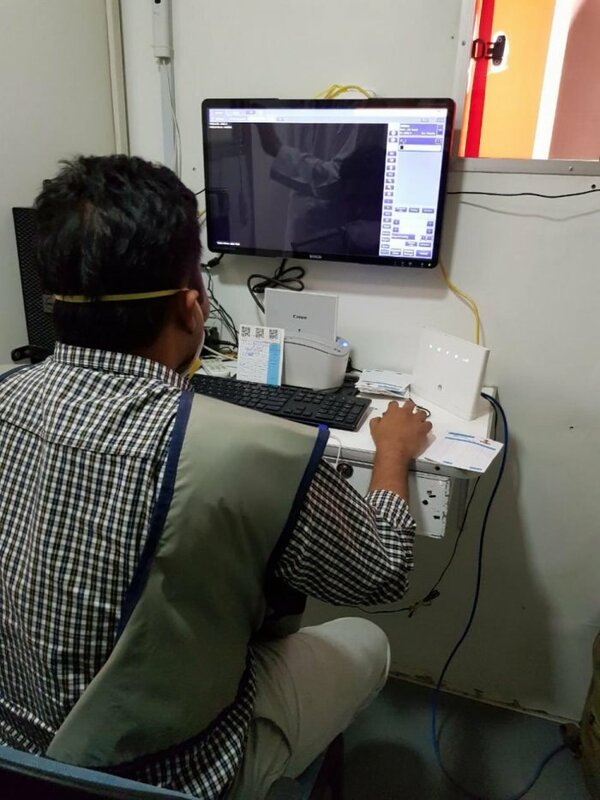 The AI software "scans" the x-ray looking for signs of TB and assigns it a score. 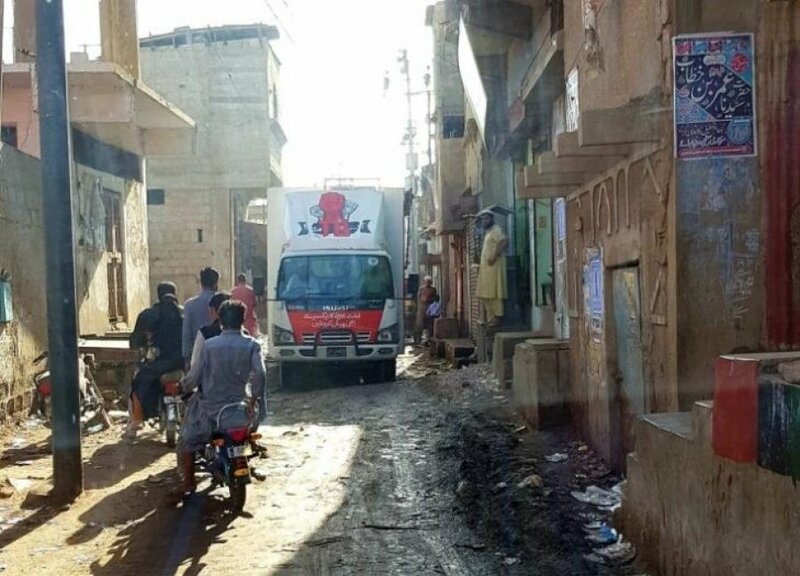 The aim of the vans is to reach communities and eventually eliminate TB from Karachi. The van is an initiative of the Global Health Directorate (GHD) – part of the Indus Health Network, an NGO that focuses on healthcare in Pakistan. Globally, there is a push towards integrating these services in order to use fewer resources for a greater impact – rather than working in silos. After an intense round of discussions, negotiations and planning over a period of one year, MSF and GHD decided to pilot the joint screening of TB and hepatitis C in the south of Machar colony with support from their respective clinics. Our first step was to identify a starting location and engage with the local community. 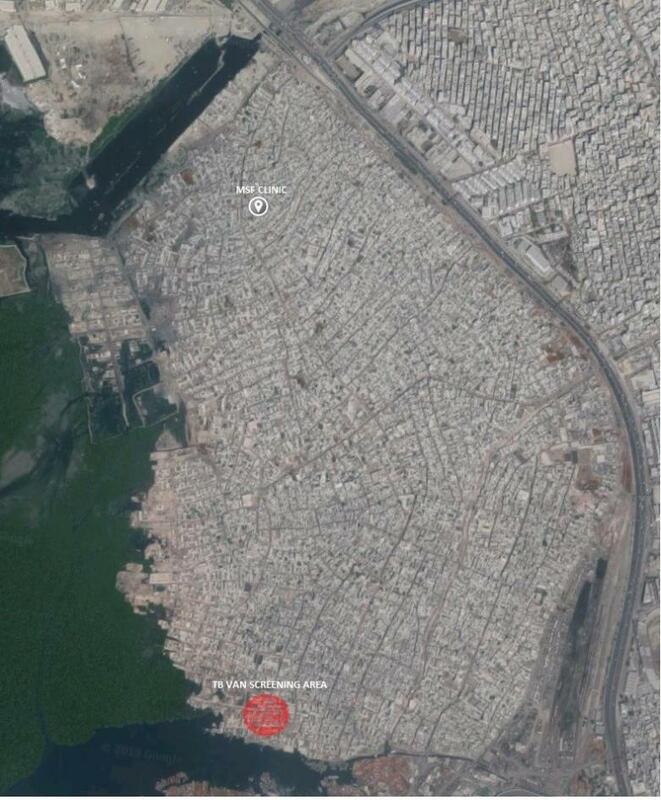 MSF’s community outreach team identified a promising site. Next, we met with the community leaders and they agreed to let us use an area next to an open-air mosque, easily accessible for the community and just barely accessible for the van. Finally, a detailed route was planned for the meet-up and shared with both the teams involved. A date was finalised for the pilot testing and fingers were kept crossed. As zero hour approached for the Zero TB van, the excitement within the MSF team kept building up. Everyone was looking forward to an entire day of field screening. The most difficult part of the day would be driving the van through the narrow streets of Machar Colony. However, after a three-kilometre journey that took over 30 minutes, the van finally reached its destination. Once the van was in place, it was up to the two teams – meeting each other for the first time – to work out how to band together to integrate screening for hepatitis C and tuberculosis. The community quickly gathered around to help and support. The imam of the mosque announced on his loudspeakers that people should come out and get themselves screened for both TB and hepatitis C.
TB screening was a quick and efficient procedure, as the team had been doing this for the past two years. They would call in patients from one part of the van, and within minutes carry out an X-ray with the portable machine. Software on the machine generates a score for each X-ray. Anything over 70 suggests active TB. For all patients with this score or above, a chest X-ray is printed, a sputum sample is collected for the lab, and a test is run to help diagnose if the patient may have a drug-resistant form of the disease. The question for us was, how do we integrate ourselves within the van? If we could find our place and work smoothly with the TB team, eventually we could hope to add hepatitis C screening in all the 47 TB vans in Karachi. At the end of a long, hot day, a total of 102 people had been screened for hepatitis C – a third of them tested positive for HCV antibodies. Blood samples were collected from those who screened positive, and confirmatory testing was performed back in the clinic. Out of those who screened positive, three quarters had the disease confirmed. Soon they will be able to start treatment within the MSF clinic. The TB van also identified patients with TB and collected sputum samples from them. After more analysis, they will be able to confirm whether the patients do have TB and prepare for the start of their treatment. Never before had these screenings been brought to the community simultaneously. 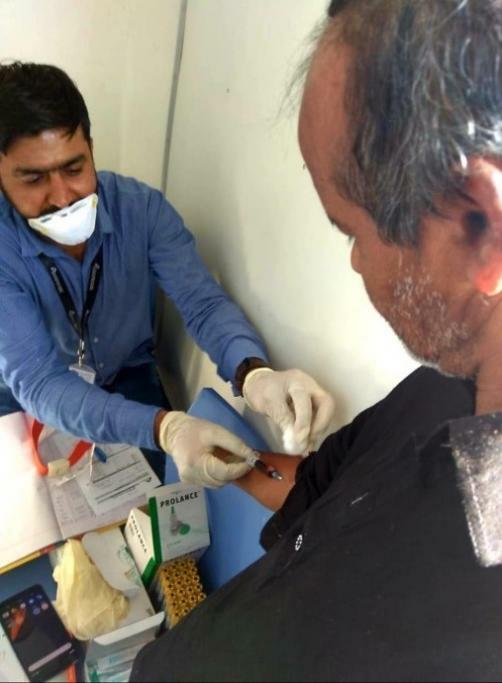 However, the new arrangement was particularly convenient for patients as they could be screened for two diseases at once, as well as referred for further care. We'll keep testing this way of working, with the eventual aim that these two major public health diseases in Karachi are screened for together much more widely throughout the city. I would like to give special thanks to the team who were a part of this story. Especially those who were involved in the conception of the plan. Just a tiny reminder of what we in MSF are capable of with just a little “outside of the box” thinking and persistence. A shout out to you all! 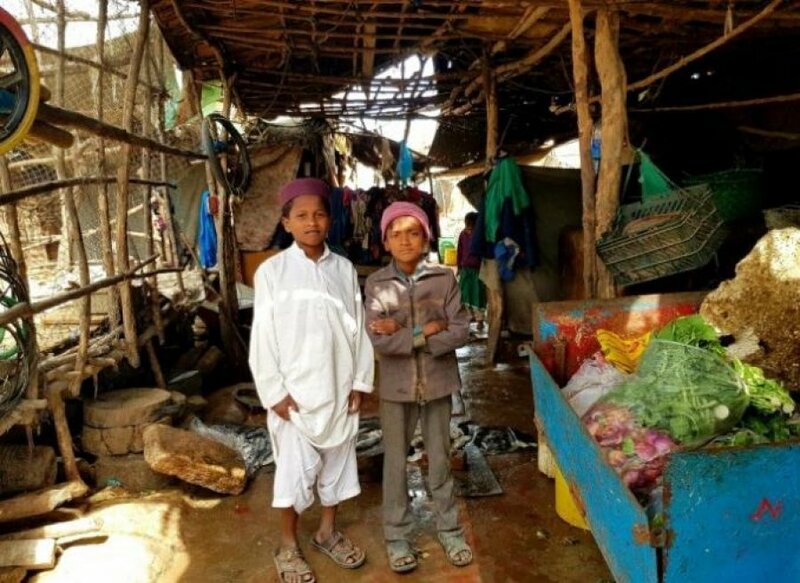 Fighting hepatitis in Pakistan: "We don't leave anyone behind"